Billiebong wants to remove a program that lacks an uninstaller, and turned to the Utilities forum for help. Before you try to manually remove a program, make sure there's no uninstaller. Check the Start menu. If the Start menu contains a submenu for the unwanted program, there's likely a link to the uninstaller there. You should also check Windows' own list of uninstallers. Select Start (Start>Run in XP), type appwiz.cpl, and press ENTER. You'll find all the uninstallers that Windows knows about in alphabetical order. You should also try Googling the name of the unwanted program and the word uninstall. 1) Create a system restore point. See How to Create a Restore Point if you need instructions. 2) Boot into Safe Mode. Reboot your PC. Just before Windows loads, press F8 (you may need to try this several times to get the timing right). At the resulting, ugly, text-based menu screen, use your keyboard's arrow keys and Enter key to select Safe Mode. Then wait until it loads. 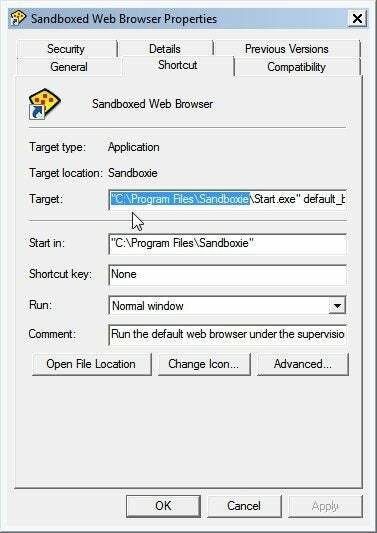 3) Find the path to the program folder. If there's a shortcut to the program on your Start menu or the desktop, right-click that shortcut and select Properties. The path is everything in the Target field except the file name. For instance, if the Target field says C:\Program Files\Bricked Software\ErodeCode.exe, the path is C:\Program Files\Bricked Software. The path is also likely the entire contents of the "Start in" field. If you don't find a shortcut, go to C:\Program Files and look for the appropriate folder. Check C:\Program Files (x86), as well, if your PC has that folder. 4) Delete the program folder. In Windows Explorer, go to the path you've just identified, then go up one level. For instance, if the path is C:\Program Files\Bricked Software, you want C:\Program Files. Select the unwanted program's folder, press the Delete key, and confirm the change. 5) Clean the Registry. You'll want to remove all references to the program from the Registry. The free CCleaner will likley do the job. If you don't already have it installed, you may want to use CCleaner Portable, which doesn't require installation. Whichever version you use, click the Registry icon in the left panel, then click Scan for Issues. When the scan is complete, click Fix selected issues. And yes, you do want to back up changes to the Registry. 6) Delete the shortcuts. Do this wherever they may be--the Start menu, the desktop, and so on. 7) Reboot. You've removed the program.